It seems that Kevin Campbell hasn’t ruled out son Tyrese following in his footsteps by walking out for Everton at Goodison Park just yet, if his latest Twitter interactions are anything to go by. 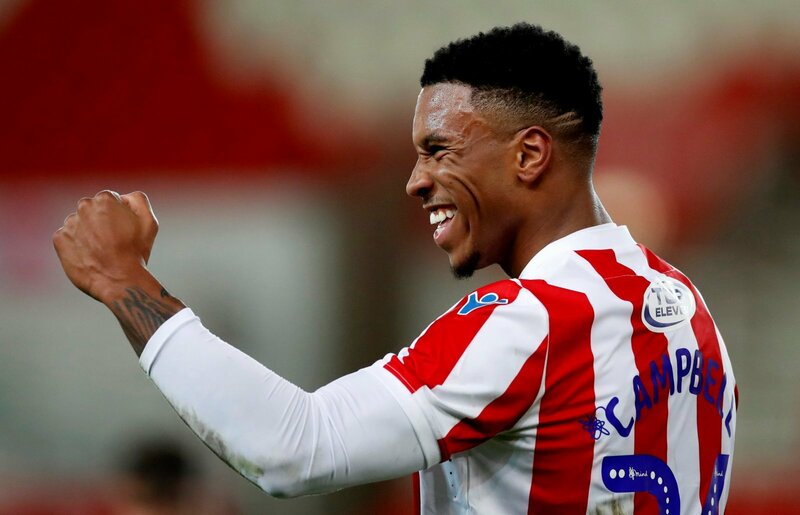 Tyrese Campbell, who like dad Kevin has taken up a role as a forward, is currently on loan at League One Shrewsbury Town from Stoke, and it appears that Campbell senior isn’t the only one hoping to see his son in an Everton shirt sometime soon. After Tyrese was announced as the EFL Young Player of the Month for March, dad Kevin took to Twitter to express his pride at the news. Reacting to the Tweet, a number of Toffees fans replied by suggesting that a move to Goodison Park could be on the cards in the future, and the former Everton striker seemed unwilling to rule such a move out. At 19-years-old, Tyrese was born part way through his dad’s six-year spell at Everton between 1999 and 2005, where he made 165 appearances and scored 51 goals for the Goodison Park club. At just 19 years of age and still gaining his first real experience of senior football, Campbell junior still has plenty to learn in the world of football. The early signs however are promising, and if he’s anywhere near as good as his dad, then you can be sure there will be plenty of clubs other than Everton after his signature in the future.